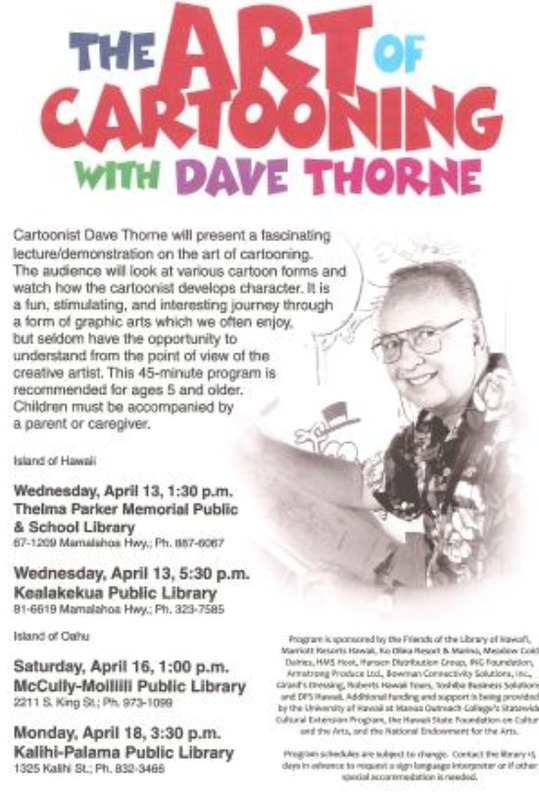 Cartoonist Dave Thorne will present a lecture and demonstration on the art of cartooning. This 45-minute program is recommended for ages 5 and older. Children must be accompanied by an adult.